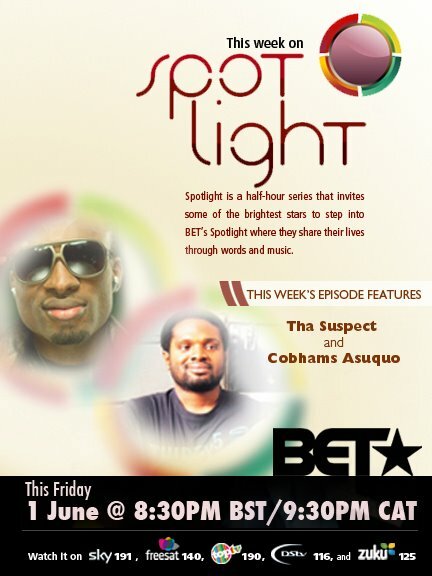 Music Producers Cobhams Asuquo and Tha Suspect are featuring on this week's BET Spotlight tagged the Producers' Mix. BET spotlight is a half hour series by BET International that invites some of the brightest stars to step into BET spotlight where they share their lives through words and music.The program will air on friday June 1,2012 at 8:30 PM GMT. The past episodes have featured iceprince,M.I,wizkid, Muna, Modenine,Eva and many others.